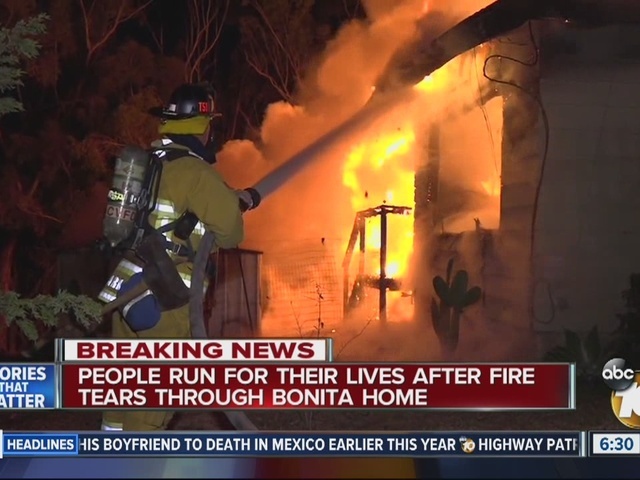 BONITA – A woman was found dead and four others were injured after a pre-dawn fire broke out Monday in a Bonita home owned by former Assembly member and former Chula Vista Mayor Shirley Horton. The fire at 3858 Alameda Way near Willow Street was reported shortly before 5 a.m., according to sheriff's Deputy Dan Wilson. 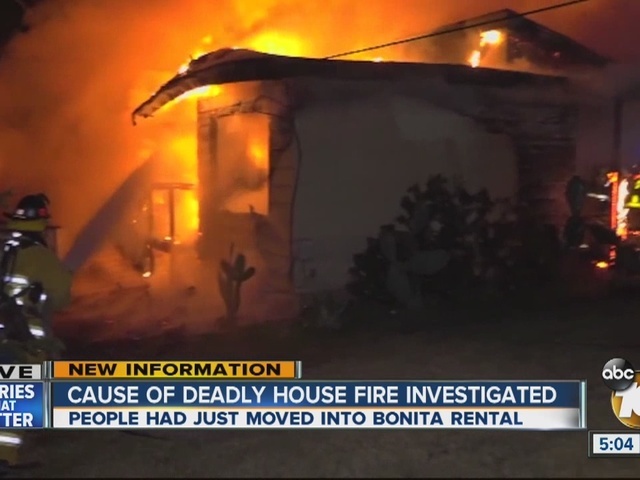 Fire crews had the blaze knocked down around 5:20 a.m. and subsequently found a person dead in a back bedroom of the two-bedroom house, authorities said. The fatal victim was 22-year-old Vanessa de la Cruz, a preschool teacher at Kids Depot of Otay Mesa. 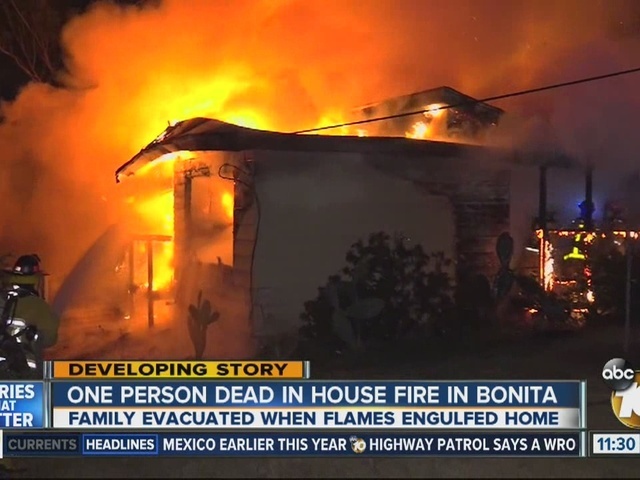 She lived in the home with her family. 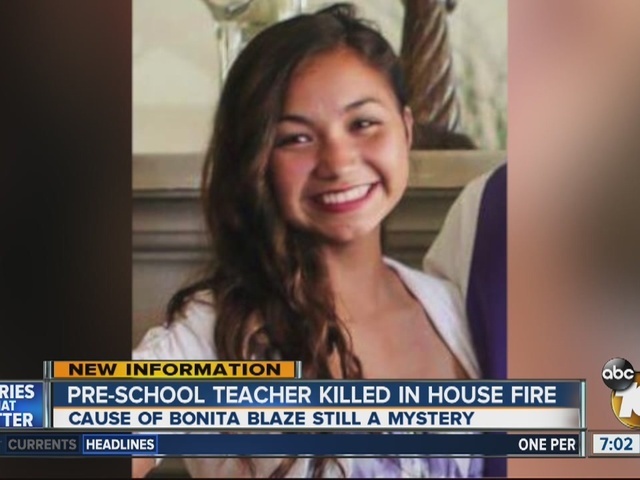 Her father woke up to smoke and flames and woke up his family, but Vanessa did not make it out of the house, according to the medical examiner's office. The father and her brother put a ladder up under her window and broke the glass but were unable to save her, the medical examiner said. Four people were taken to UC San Diego Medical Center for treatment of smoke inhalation. Investigators with the Sheriff's Bomb/Arson crew were trying to determine the cause of the fire, Wilson said. The 1.22 acre property with several homes on it has been owned by Horton and her husband, Luther, since 1987, according to public records from the county assessor.